Great timing on this action shot. 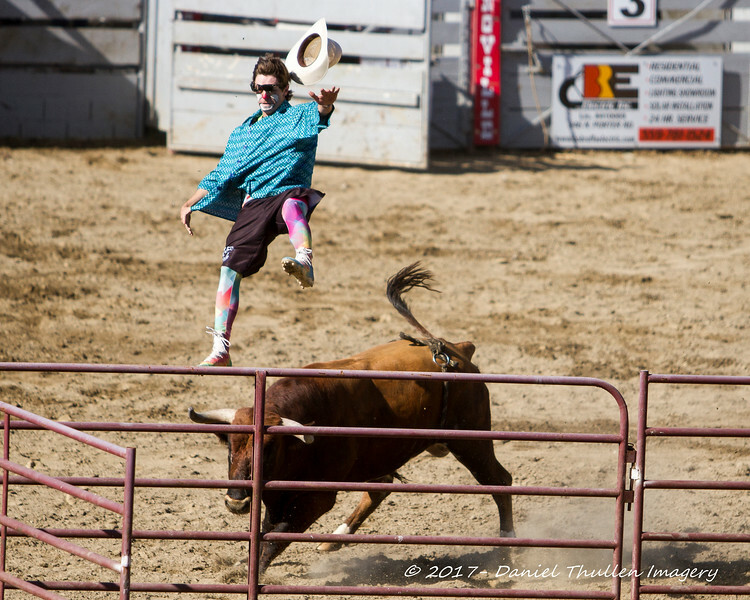 The Bullfighters Only tour made a stop at the 69th Springville Sierra Rodeo on Sunday, April 30, 2017. Here the bull launches Cody Greer into the air.